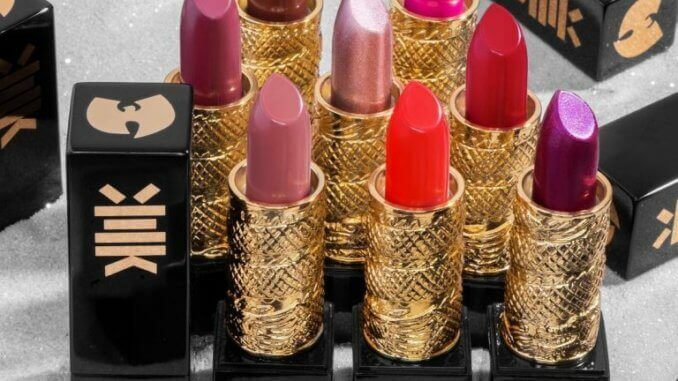 The Wu-Tang Clan has collaborated with Milk Makeup on a line of vegan lipsticks. The collection is called Wu-Tang x Milk Makeup, and is inspired by the group’s passion for Shaolin Kung Fu. Billboard reported that member and leader of Wu-Tang Clan, the long-term vegan RZA, bonded with Milk Makeup co-founder Zanna Rassi, and through their partnership they have created a collection with colours formulated by RZA’s wife Talani Diggs. The Wu-Tang x Milk Makeup collection can be found at milkmakeup.com where customers can purchase a lipstick for $55 or the entire collection for $440.